When you shop for essentials or gifts, you could help us raise funds, at no extra cost to you! Amazon Smile, Give as You Live and Easyfundraising donate a percentage directly to Sight Concern Worcestershire every time you purchase. Best of all it is free to use, costs nothing extra and the retailers donate. They work with thousands of charities from multinationals to local volunteer-run causes. Their success stories include schools, churches, scout/brownie groups and sports clubs. They work with 4,200 online retailers and also offer in-store shopping cards for dozens of retailers. You can find retailers for everyday shopping and gifts, booking a holiday and ordering office products. As a “thank you” for sending sales to them, the retailers give us a reward – we pass this onto the charity of the user’s choice. Sign up for free, making sure that you select Sight Concern (Worcestershire) as your chosen charity, select your stores and then shop. Any purchases through the site allow Give as you Live to donate to Sight Concern from the commission they earn from the retailers. It costs you nothing more so why not sign up and start giving. With 3,534 retailers to choose from, raising over £23 million for thousands of community groups, schools, sports clubs, small and large charities across the UK it makes sense to sign up. Easy! Select Sight Concern Worcestershire from the search box and register your details. You can then download a donation reminder to activate your donations when shopping. And best of all it doesn’t cost you a penny extra! AmazonSmile is a program that donates 0.5% of your eligible purchases on Amazon to a charity of your choice. All you need to do is start your shopping at amazon.com. The donation will be made at no extra cost to you and you can choose from nearly one million public charitable organizations. Though 0.5% is not a large donation and it isn’t intended to replace your regular charitable activities, AmazonSmile is still a great way to take advantage of a service you’re using anyway. 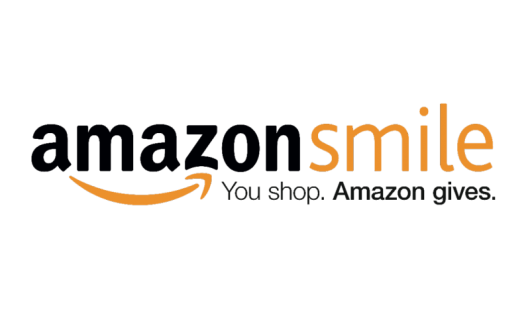 If you’re looking for a simple, automatic way to continue supporting your favourite charity, you should start your Amazon shopping at smile.amazon.com. You shop as you normally would on the site, at no extra cost to you, and you don’t need to make a separate account, just log in to AmazonSmile with your normal Amazon Log In, select Sight Concern (Worcestershire) as your chosen charity and shop as normal. Amazon do the rest.